In the intelligent packaging space, Australian companies exhibiting at AUSPACK are developing solutions for brand owners that enable the development of experience-rich marketing campaigns; relay vital information on nutritional content and product provenance; and provide a platform for authentication, traceability, and brand protection. Smart packaging – which encompasses both active and intelligent packaging – is seeing rapid technological advancement on a global scale. The global market for smart packaging is currently estimated at $5.3 billion and growing at CAGR of 8% for a projected value of $7.8 billion by 2021, according to market analyst Smithers Pira*. While active packaging is a relatively mature market, intelligent packaging is in a high growth phase, spurred by printed electronics, the Cloud and the Internet of Things, which combined create a new frontier for packaging manufacturers. Intelligent packaging technologies incorporated or embedded in a pack (like codes and tags) provide a means to access information, check authenticity, monitor product conditions, receive and store data as well as deliver messages to customers, shippers and brand owners. An important application for Australian manufacturers is proving product provenance and authentication, particularly for those exporting into Asian markets where counterfeiting is rife and where consumers seek assurance that a product is genuinely Australian. Product identification and inspection expert Matthews Australasia (Stand 56 at AUSPACK 2017) has worked with New Zealand company Trust Codes to provide high-end infant formula processor Camperdown Dairies with a ground-breaking platform to allow Chinese consumers to quickly check the authenticity and provenance of its products using their smart phones. The system prints each tin of infant milk formula with a unique QR code with human-readable information managed by Matthews’ iDSnet software. The printed QR code allows consumers to scan and identify the individual product and report its history, among other information. In another local development, packaging equipment supplier Result Group (Stand 38 at AUSPACK 2017) has partnered with IDlocate, a traceability and anti-counterfeit solutions provider, to deliver a consumer-facing authentication platform which enables unique QR coding systems to be printed on packaging. By scanning the code with any smart phone or hand-held device, consumers have direct access to a range of data in real time — including growing information, ingredient details, promotional offers, export origin and serving suggestions. Benefits to brand owners include the ability to check supply chain and distribution without needing third-party feedback, and the capability to understand consumer-buying behaviour first hand, plus being able to build product-relevant custom content and share it with consumers instantly. Augmented Reality is another exciting technology being used by brands to create engaging and immersive experiences for consumers. Omniverse Foster Group (Stand 27 at AUSPACK 2017) will be demonstrating advances made to its 3D immersive packaging technology which it introduced at AUSPACK 2015. The company will showcase how it is taking AR to the next level of digital platforming, enhancing the technology’s ability to bring brands to life. 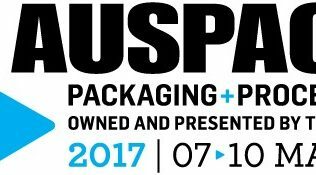 AUSPACK 2017 will run from 7 – 10 March 2017 at Sydney Showground, Sydney Olympic Park from March 7-10.